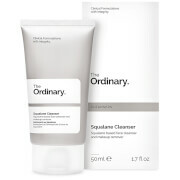 A refreshing daily cleanser that deep-cleans the skin and pores removing impurities including makeup, dirt and surface oils. This unique formula also gently prepares the skin for advanced treatments with other Quintessence Skin Science products without stripping the skin of precious moisture. It is a detergent-free, lipid-free formulation that is non-irritating to sensitive skin. It contains the phyto-effective natural ingredients: Aloe Vera, Cucumber Extract and Bisabolol (a counter irritant found in chamomile). 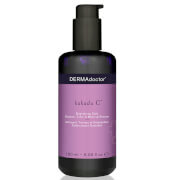 It also contains the antioxidants, vitamins A and E, providing increased protection for your skin. These ingredients work synergistically, helping to optimize the benefits of the Clarifying Under-Eye Serum Capsules and Serum C. The Purifying Cleanser’s gentle soothing properties also make it ideal for use immediately after glycolic or other chemical peels, cosmetic surgeries, microdermabrasion and non-ablative laser treatments. Squeeze a small amount onto a wet sponge, face cloth or hands. Work into a lather, then gently massage onto face and neck for sixty seconds. Rinse with water. 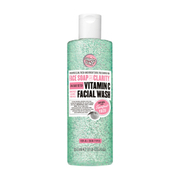 I was using Aveeno's Ultra-Calming Cleanser, but decided to give this a try because Aveeno was running out quickly all the time and I had to constantly repurchase. Well, not only that but Aveeno's foaming action was a bit too drying on my skin. This is oh so gentle though, and very effective. It might not sound like this has much, but this is making my skin feel very smooth and it has become less irritated (inflamed). The only sensitivity I have to products is acne, but somehow the gentleness (I guess the aloe, cucumber, and chamomile) is doing my skin very well. I bought this cleanser after it was recommended to me for my skin type by a Miami dermatologist. I thought the price was reasonble so I purchased it and I just used it for the first time. It is a clear, gel type product and feels good on my sensitive skin.